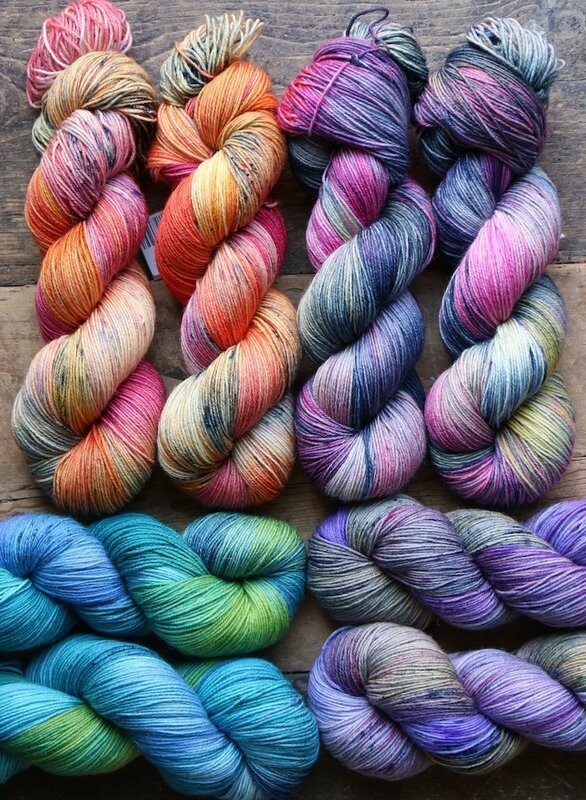 New hand dyed sock yarn in stock soon. 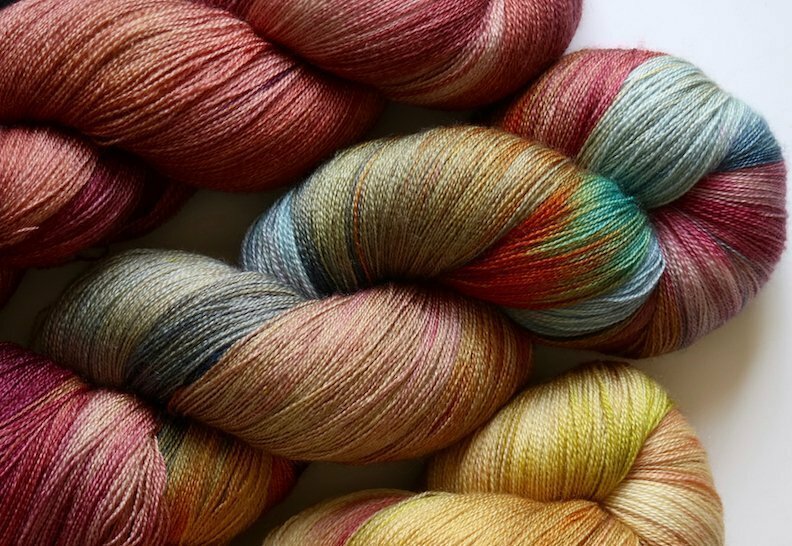 I have 10 new colourways of our Merino Sock Yarn “Gemini” dyed and am in the process of dyeing a new sock yarn, which is a Bluefaced Leicester & Nylon blend. Also 3 new lace weight hand dyed yarns are nearly complete. Please make sure you are on my mailing list to get first notification of these yarns being uploaded for sale and receive a 10% discount on your first order. 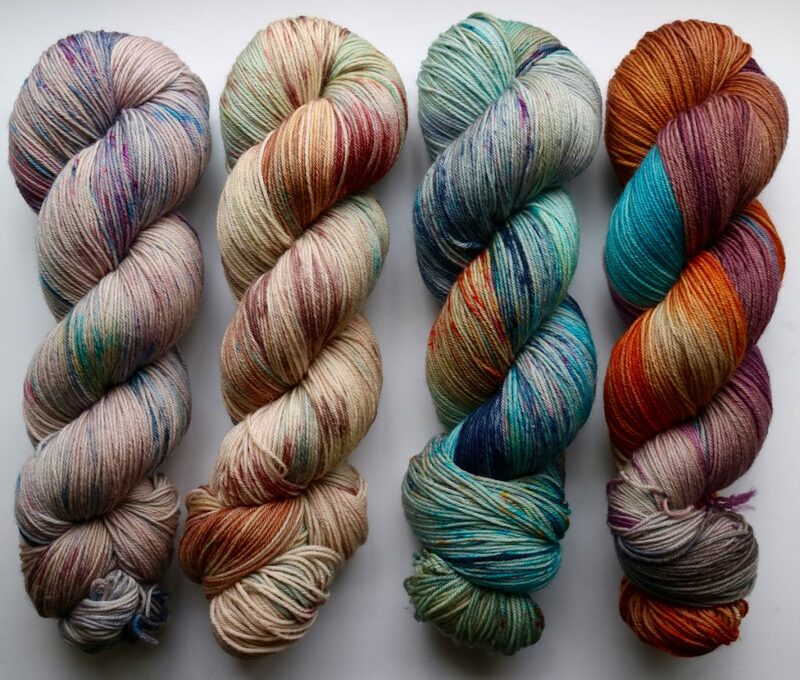 This entry was posted in Latest News at The Yarn Gallery and tagged hand dyed, hand dyed yarn, lace yarn, new yarns, sock yarn.